I am delighted to have won a commendation for one of my fabrics in this prestigious competition. The Society's annual competition attracts almost 1,000 entries from students throughout the UK. The commendation was awarded for my Meandering Checks fabric (right) which is 97% wool, 3% polyamide and was woven on a Bonus jacquard loom. This fabric marks the beginning of my 'Black & White' range and was a development from previous work on the handloom. 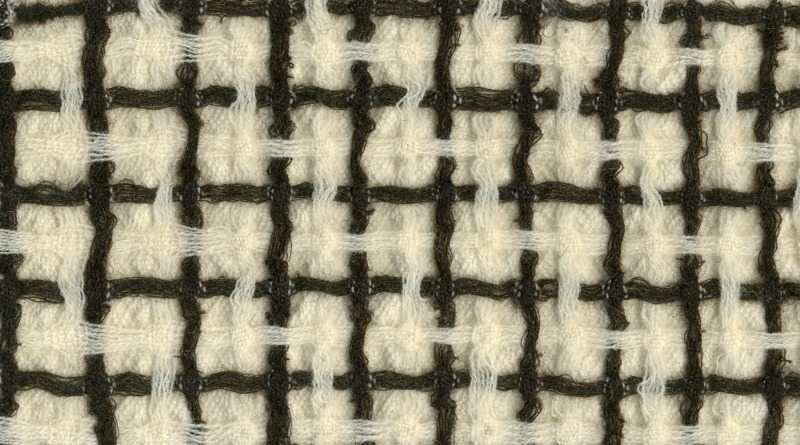 The sample below shows my original trial piece, which was woven on an 8 shaft Harris table loom using British wools. Final week of exhibition "Material Stories"